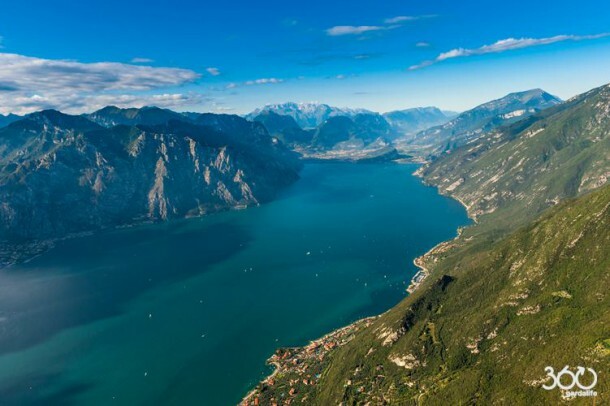 Lake Garda is a lake set about by mountains that stretches down to the Padana plains. What this means is that Lake Garda benefits from thermal winds which vary from zone to zone in the morning and the afternoon. Lake Garda is known the world over for its constant winds that vary in intensity from morning to afternoon and from zone to zone. It is uncommon for a day to pass without wind on Lake Garda. There are two typical winds in the north part of Lake Garda: Pelèr, the northerly morning wind, and Ora, the wind from the South, which usually starts after the Pelèr drops down. Therefore, there is a great range of winds which are suitable for beginners, improvers and experts. 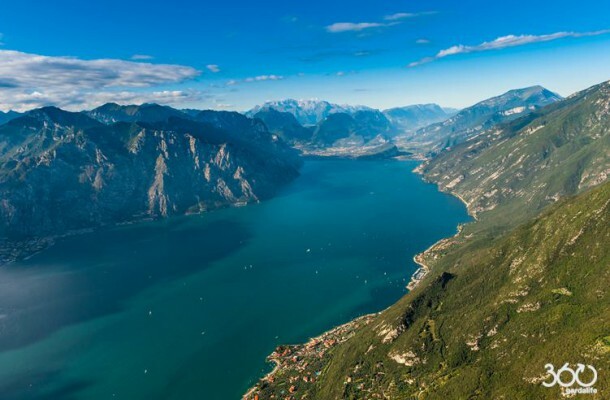 So Lake Garda is the right place for you if you like sun, wind and water and who would like to try a fun and dynamic watersport like windsurfing or kitesurfing. On Lake Garda there are only two places where you can go out independently. The first place is Navene (near Malcesine) and the other is Campione. If you want to go out here and use their services, you will have to join one of the local kite clubs. You don’t need to be particulary fit if you want to try kitesurfing. It is a very easy sport to learn and normally 5 or 6 lessons are enough to kitesurfing alone. If you already know how to kitesurf you can take advantage of the lift system. The service consists of being followed by a support boat or a competent person who will help you to to stay upwind and bring you back to shore at the end of your day. This helps the independent Kiter who wants to find the best kitesurfing spots without having to queue to leave the designated kitesurfing beaches and risk not finding the best wind. 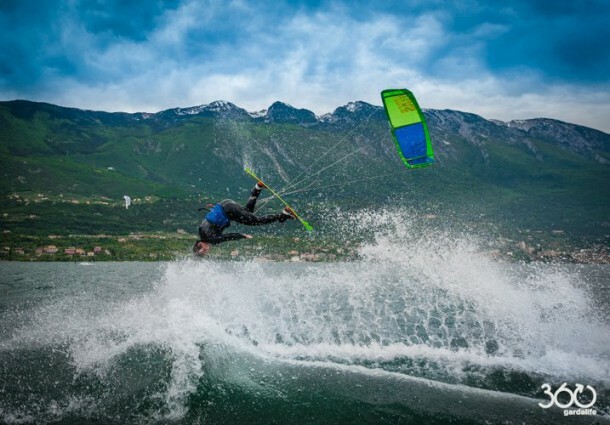 Read here if you want to know everything about kitesurfing on lake Garda. Lake Garda offers various spots. The most popular are Malcesine and Pra de la Fam for North wind, Conca d’Oro and the Pier for South Wind. Windsurfing can be done by nearly everyone from 7 to 100 years old. You don’t have to be a particularly sporty person to have fun windsurfing. With a 12 hours course you can learn the basics of windsurfing and you will to be able to go out by yourself. Read here if you want to know everything about windsurfing on lake Garda. Enjoy your stay and have fun on lake Garda. 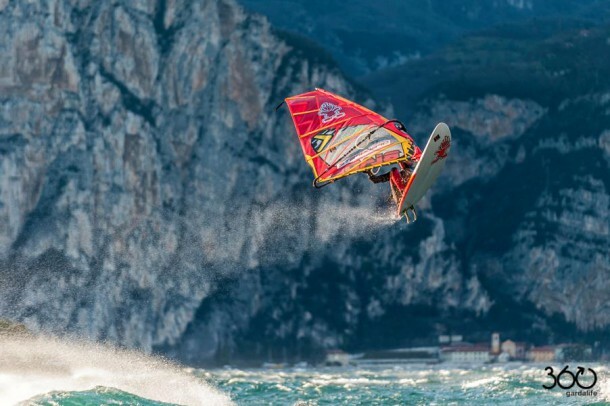 That is what Fabio Calò said about the last gale on lake Garda on march 5th 2015.